Clairanne is the Principal and part owner of Cape Realty International. She has over 20 years’ experience in Financial Management and 15 years in property. She holds a BCom Degree from UCT and a MPRE (Master Practitioners in Real Estate). Clairanne is passionate about offering a property service to clients which is always based on honesty and ethical lines. Brett is a highly motivated and results-driven property professional who has successfully run several businesses both locally and internationally. Until recently he was a partner in an Estate Agency. Brett prides himself on his excellent level of customer service and going the extra mile for his clients by providing expertise and honest feedback. Cindi is a fully qualified Estate Agent with an NQF4. She has more than 10 year’s property experience both in sales and in rental. She currently heads up the Cape Realty International’s residential rental portfolio. Cindi has a vibrant and bubbly personality and does not stress easily so she is ideally suited to dealing with both Owners and tenants. She is well versed in the legalities of rental management so is a constant source of expertise for all our clients. Nothing is ever too much for Cindi and clients will appreciate her honesty and integrity. Cape Realty International is one of Cape Town’s leading property management company’s specialising in sales, upmarket holiday lets and residential rentals. We operate in the broader Cape Town area out of our offices in the leafy suburb of Rondebosch.  We, at Cape Realty International, are dedicated to offering extremely high standards, super-efficient friendly service and property related advice to all our clients. We attempt to exceed our customers’ expectations with our dedicated and experienced staff who as a matter of course, “go the extra mile”. Please feel free to contact us for any property related query.